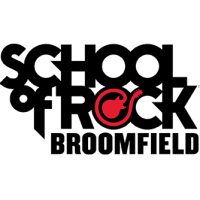 School of Rock Broomfield - Get Involved. Make Friends. Enjoy Motherhood. A MOD Moms Business. School of Rock is the leader in performance-based music education. We teach guitar, bass, keyboard, vocal, & drum lessons, & we offer age-appropriate group classes and summer camps for all ages, all based on Rock Music. You have to experience School of Rock to really appreciate what we do! At School of Rock we teach the world to rock on stage, and in life!